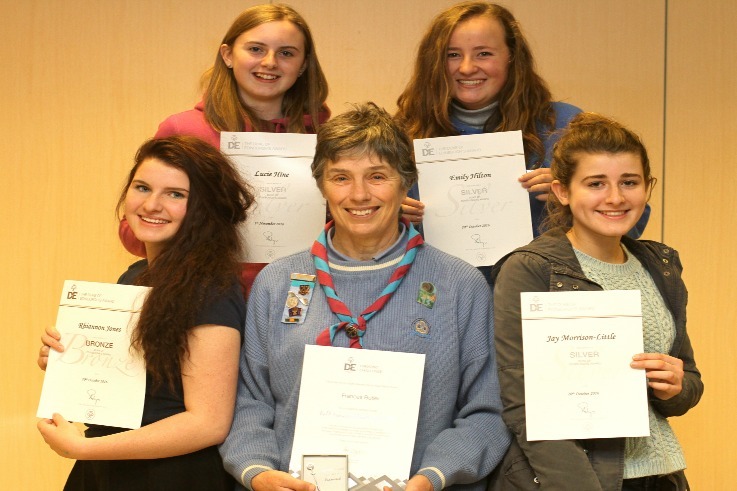 Girlguiding Ellesmere D of E Group: Following on from a very successful 2016 expedition season our young women are now completing their awards. Silver: Jay Morrison-Little, Emily Hilton, Lucie Hine, also completed are Anna Davies and Olivia Faux-Grace who were not able to attend. It is worth saying that this is a very mixed bunch geographically: Rhiannon is also in Baschurch Rangers, Emily, Whitchurch Rangers, Lucie was in Malpas Guides & Explorer Scouts; Anna & Olivia came to us from St Martin’s Guides and Jay had never been in Guiding before joining our D of E Group.